We picked this up from an old magician’s estate. 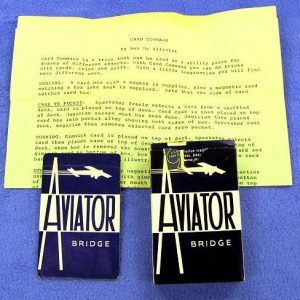 It comes with its original instructions and all the required bridge size Fox Lake playing cards. 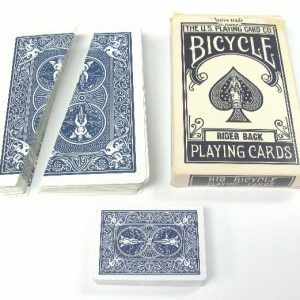 Effect: The magician shows the spectators some playing cards that were rejects from the playing card factory because they were not completely printed as they should be or were cut incorrectly. 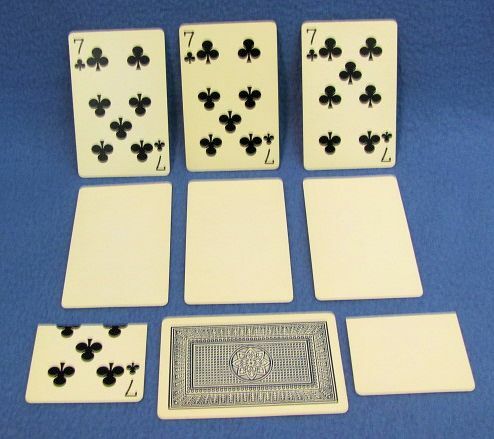 The performer shows some cards with faces but without any backs, some cards cut in half without backs, etc. 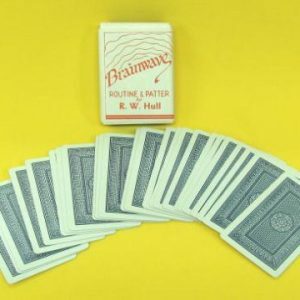 Magically the performer causes all the reject cards to become regular cards!